Physicists at The University of Texas at Arlington have been awarded a new $1.06 million grant from the U.S. Department of Energy to upgrade the software that runs on the Titan supercomputer at Oak Ridge Leadership Computing Facility in Tennessee to support extremely data-heavy scientific applications such as advanced biology and materials science simulations. "While our first priority is to upgrade Titan to handle the huge amounts of data generated by the particle and nuclear physics experiments in the Large Hadron Collider in Switzerland, we are increasingly focusing on providing support for other scientific disciplines like advanced biology and materials science that increasingly need supercomputing for big data applications," said Kaushik De, UTA physics professor and director of the High-Energy Physics Group. "Our unifying workload management system will also help integrate the grid, supercomputers and cloud computing to move toward a high-capacity global cyber-infrastructure that could transform scientific research around the world." Professor De, who joined UTA in 1993, designed the workload management system known as PanDA, for Production and Distributed Analysis, to handle data analysis jobs for the Large Hadron Collider's ATLAS particle physics experiment. During the LHC's first run of experiments from 2010 to 2013, PanDA made ATLAS data available for analysis by 3,000 scientists around the world using the LHC's global grid of networked computing resources. The latest rendition, known as Big PanDA, schedules jobs opportunistically on Titan in a manner that does not conflict with Titan's ability to schedule its traditional, very large, leadership-class computing jobs. 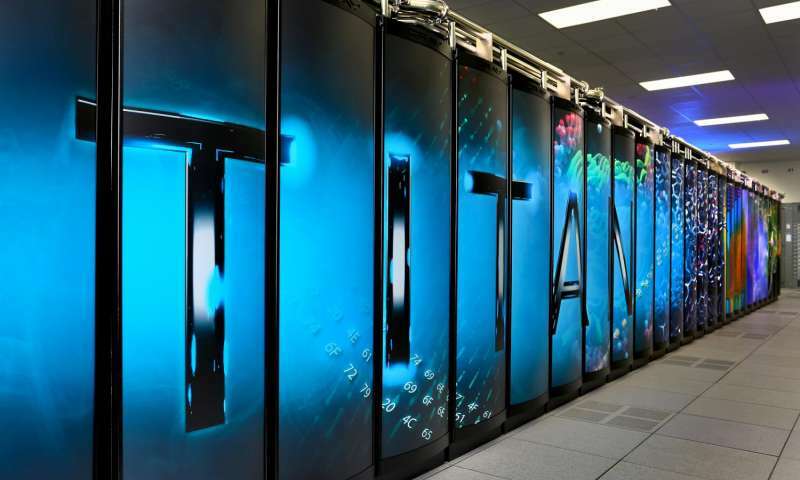 Even when fully scheduled, some 10 percent of Titan's computing capacity may still remain unused for short periods, creating the opportunity for Big PanDA to "harvest" hours of idle time for other projects. "The aim of this new project is to use Big PanDA to improve operational efficiencies of supercomputers like Titan and develop an effective approach that could run on all leading computing facilities, " Professor De said. "Using Big PanDA to further integrate supercomputers with the grid and cloud computing would also enable a much more efficient use of computing resources for a wider range of scientific applications." Alex Weiss, chair of UTA's Physics Department, underscored the leadership that Professor De has demonstrated during the last decades in data-driven discovery, one of the key themes of UTA's Strategic Plan 2020: Bold Solutions | Global Impact. "Professor De has been a pioneer in the area of workload management and distributed computing. His work has provided important new solutions to the problem of how to manage the worldwide production and distributed analysis of the big data generated in particle physics experiments, " Weiss said. "This new grant demonstrates yet again that ideas, methods and systems designed at UTA are at the leading edge of the field and provide essential support for emerging science needs." UTA's scientists will be collaborating with Brookhaven National Laboratory, Oak Ridge National Laboratory and Rutgers University on this project. UTA currently hosts the ATLAS SouthWest Tier 2 Center, one of more than 100 centers around the world where massive amounts of data from the particle collisions is fed and analyzed. Professor De leads a team of 30 UTA researchers dedicated to the ATLAS project. His research has generated more than $30 million in research funding for UTA during the past two decades. In 2015 he was elected Fellow of the American Physical Society precisely for his work in developing cloud computing architectures that enabled global collaboration and big data analysis. Professor De also is known for his other research exploring physics beyond the current "theory of everything" known as the standard model.